Given the choice, all of us would choose to have a healthier lifestyle, but it takes time and energy to change our habits – time and energy few of us have to spare. Luckily, forward-thinking bed and breakfasts have taken the work out of being green; the following inns are all committed to reducing their environmental impact and have taken action towards environmental, social, and economic sustainability. Many have been recognized for reducing their carbon footprint by using non-toxic biodegradable laundry detergents, cleaning with free and clear products, and cooking with local or organic produce. That means with a click of your mouse, you can choose a vacation where you will not only spend money in good conscience, but you can come home healthier than when you left! When you stay at Amore by the Sea Bed and Breakfast Inn and Seaside Spa in Victoria, British Columbia, more than your physical body will come back refreshed. Imagine how good it will feel to wake up to 180-degree views of the ocean (in every room!) each morning. And while the inn is only 20 minutes away from downtown Victoria, the main attractions are in the sea. From your room you may see the occasional passing whale, seal or even otter. For closer views, try renting a kayak and paddling out to one of the two islands in the bay where the seals love to congregate and sun themselves. Even more exciting, these local waters are home to over a hundred orca whales. A local company will take you out for a once-in-a-lifetime experience. The best part is that when you’re back at the inn, you can rest easy, knowing that this inn takes pride in its green practices. Nowadays there are many farms that proclaim they are pesticide-free, but a stamp of certification is always reassuring, especially when you are staying at the Inn at Valley Farms B & B, which situated on 105 acres of lush organic farmland. This is to your benefit, as seasonal, delicious produce works itself into every multi-course gourmet breakfast. The Inn is health-conscious, but not to a fault, and guests with a sweet tooth will find the chocolate shortbread in the bottomless cookie jar a delightful treat any time of the day (or night). Enjoy New England from Walpole, New Hampshire, which is widely regarded as one of the most picturesque towns around. The Tryon Farm Guest House is nestled on 170 acres of prairies, woods, meadows, and ponds – what’s more it’s intended to stay that way. Much more than simply a renovated 1896 Victorian farmhouse, the Guest House is actually part of a conservation community located just an hour north of Chicago. 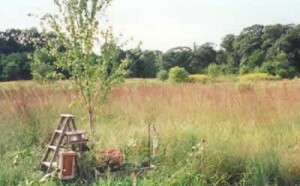 The fifty or so full and part-time residents are committed to being conscientious stewards of the land supporting practices as such: establishing wetland habitats, minimizing roads, managing waste, and establishing gardens. The Cable Nature Lodge in north Wisconsin boasts being one of the first businesses in the state to have earned the Travel Green Wisconsin certification; however, the real green at the Lodge is in the surrounding 22 acres of Chequamegon-Nicolet National Forest in northwest Wisconsin. Each of the seven guest rooms is situated on the upper level of the lodge with large windows overlooking the untouched forest. From the very door of the Lodge you can stroll to North Twin Lake, walk to the Rock Lake hiking and ski trail, or bike to a trailhead for Midwest’s renowned CAMBA off-road bike trail system. No need to drive anywhere for food either, as the local favorite Rookery Pub & Café is just downstairs with a menu of specialty salads, steaks, handmade pastas, and more. 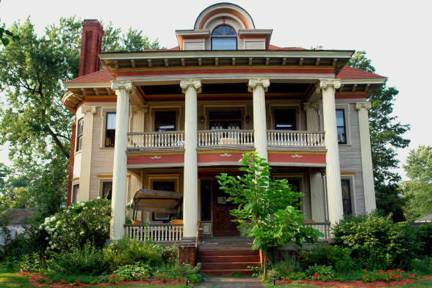 The historic Lathrop House B & B puts a different spin on eco-friendly by promoting car-less vacation stays in Springfield, MA. The quaint town of Springfield is 2 1/2 hours from NYC and 1 1/2 hours from Boston, but is easily reached by Amtrak train or Peter Pan bus. It is also only 20 minutes from Bradley International Airport – and the inn provides car service to any of these terminals. Once there, all the main attractions of downtown can be visited by taking a 10-minute bus ride that picks up right outside the door. For those who prefer staying on foot, Forest Park, a 735-acre woodland park, is right across the street. Leave the car at home! Sandlake County Inn could be called green to the bones – the original 1894 farmhouse was built almost entirely out of virgin red fir bridge timbers that washed ashore from the wreckage of the wooden full rigger, the Struan. The recycling tradition has continued on with many environmentally practices: clear and free cleaning products, composting, recycling, beauty products purchased in bulk, the list goes on. 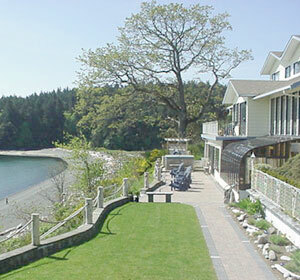 No skimping on the luxury though; most guests have no idea that this Oregon inn by the sea is green. 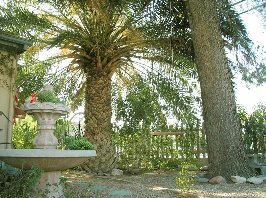 For those of you who already take environmentally-friendly to the next step, Natural Bed and Breakfast in sunny Tuscon, Arizona, may be for you. This is the go-to destination for travelers looking for a high-quality, non-allergenic home-away-from–home. Every aspect, from the air purifiers to the immaculately manicured (and non-toxic) grounds is designed to relax and pamper the health-conscious guest. For breakfast, you will have choices not found at other B & B’s – as most meals are vegetarian, and organic and non-lactose menus are readily available. 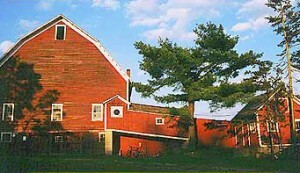 Visit www.iloveinns.com and browse through the 19,000 Bed and Breakfasts and country inns that specialize in other events and locations that may interest you. Many of the properties listed above are also in the best-selling bed and breakfast guidebook Bed & Breakfasts and Country Inns with a Buy-One-Night-Get-One-Night-Free Certificate. 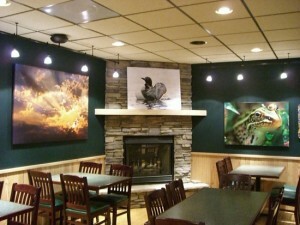 ILoveInns also offers Bed and Breakfast Gift Certificates, a perfect solution to help celebrate any occasion. American Historic Inns, Inc. (www.iloveinns.com), founded in 1981, is the leading publisher of bed and breakfast guidebooks, with more than 2.5 million bed and breakfast guidebooks sold, and runs iLoveInns.com, a top bed and breakfast and country inns directory.